Blest Be The Ties That Bind…. “I really hate to hear about Jake passing away. I know he was the family’s pet and yours too. He was a pretty Lab”. Gwen H.
“Sorry about Jake. We have lost many dogs and one was our beloved pink nosed yellow Lab, Jake. Special…we still think of him. I am thinking old Jake is up there sitting on a cloud with Anne wagging his tail and smiling”. Lin C.
“The “Jakester” has been fortunate to be cared for these fourteen years. Rest peacefully, dear Jake”. Lisa B. “Very sorry about the loss of Jake”. Ray P.
“So sorry about the Jakester.” Carolyn B. Sometimes, those things we love and say goodbye to are the ties used by God to bind us closer together. There has been very positive feedback on the Learning Center’s start-up and the new staff assembled to get the job done. The last Post highlighted the credentials of the staff and we commend Eve and others for the staff selections they have made. As “Friends of Copey”, our learning never ends. Not only are we growing much more aware of life elsewhere, we are learning more about volunteerism and the talents of those who unselfishly serve in unfamiliar and sometimes unfriendly places. Both Hailey and Eve exemplify “volunteerism”. 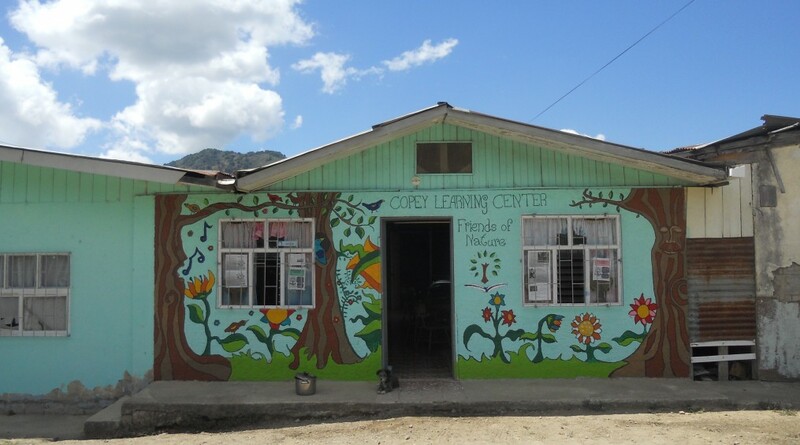 Hailey (Friend of Copey) volunteered to leave home back in 2013, saying goodbye to family, friends, and many of life’s comforts to devote 90 days of her life in Copey to teach. Eve, an extraordinary volunteer who could be performing Ballet on a big stage somewhere has been busy teaching and leading the Learning Center for about 18 months. In her spare time she has been training rural kids how to dance. This Post cannot adequately express the admiration and appreciation I have developed for those with the “heart of a servant”. Because of these “servants”, the Learning Center has been, is being, and will continue to be life changing for everyone involved. “Friends”…stick with this! You will end up in places you never dreamed possible. I know! By the way, the Fundraiser is still moving along. More details in my next Post. This morning, we said goodbye to a very dear friend. He was a friend that always would welcome you to his home, made you feel special, and would provide you all the attention you could handle. Friends who are steady, always there to comfort and love you, forgiving and have very short memories are not easy to find or keep. My sister Patty and her husband Jim took him in when he was only a pup about 14 years ago. 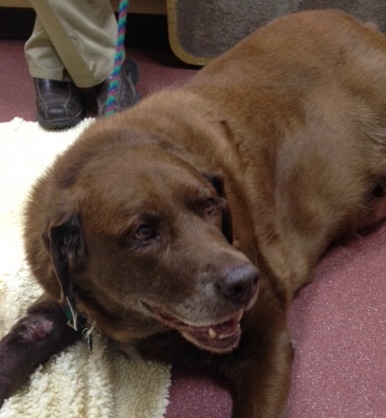 He was a Lab that had the disposition you wish most people would have. His name was “Jake” and we affectionately called him the “Jakester”. For medical reasons and age, it was the right time for the “Jakester” to say goodbye to us and for us to let him go. Doing the best thing out of love is not always the easiest thing to do . “Jakester”, you were special…we will miss you! We are saying “Hello” to some very special people. The Learning Center has welcomed two new volunteer teachers and the new Executive Director. When the Learning Center’s doors swung open last week to the largest number of students yet, these newcomers were ready to go. Each student level experienced an increased enrollment over previous years. Surprisingly, French has been added to the curriculum and is very popular. I introduced you to Angela in my previous Post. Without any doubt, she is prepared to meet the various challenges facing the Learning Center this year. 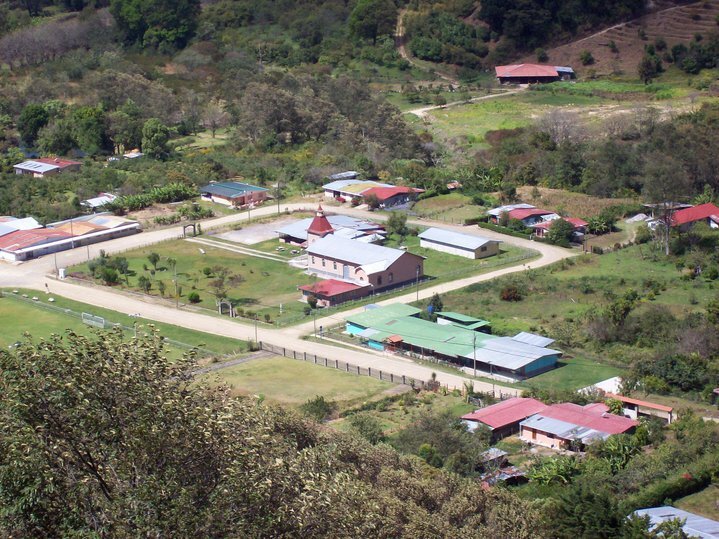 She arrives at the Learning Center after spending close to two years in San Jose, Costa Rica leading and training Peace Corps volunteers and working with the Ministry of Public Education’s National Headquarters. 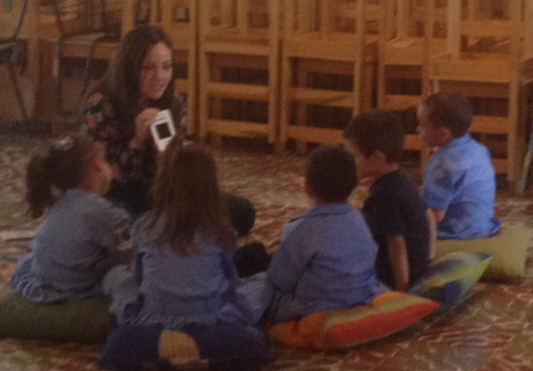 She brings a rich teaching background having worked in both China and Ecuador. Equally important, she is now an official member of the Copey community. She originally hails from Pennsylvania. Our two other new arrivals are Katrina Gorham and Kerri Borstelmann. Katrina grew up in the Scottish countryside near Glascow and attended Edinburgh University in 2013. She received her Masters in Modern European Languages (French and Russian) and has taught in both France and Russia. She enjoys traveling, learning languages, reading and music. The community has embraced her arrival to Copey and she is already busy expanding the students’ educational experience by heading up the French course. Kerri was born in Macon, Georgia and grew up on Long Island, NY. She traveled extensively around the country during the summers with her father who was in the circus. She graduated with a BS in Communicative Disorders and Sciences from the State University of New York at Geneseo. She earned the prestigious Certificate in English Language Teaching to Adults (CELTA) in Manhattan and taught at a private English academy in South Korea. 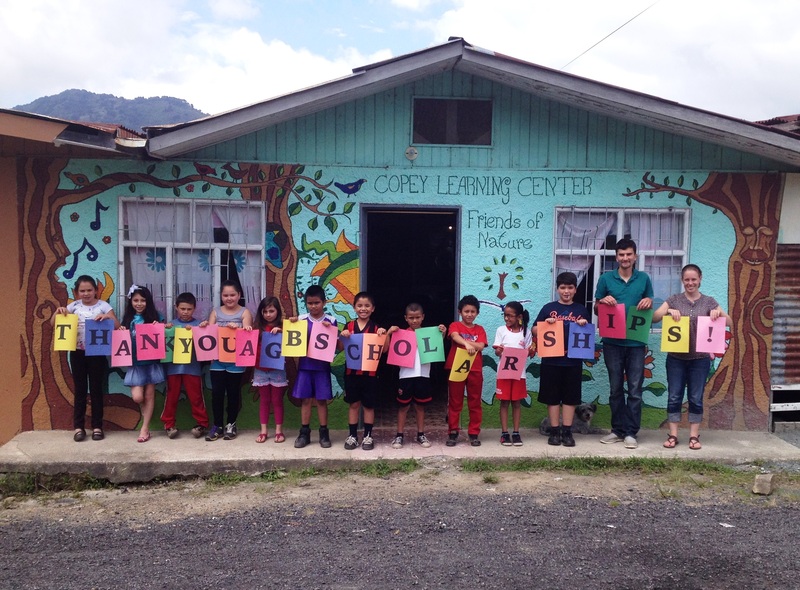 She wanted to live in a Latin American country and decided on Copey as her next stop. She enjoys singing, hiking, traveling, and exploring different cultures. The team is in place and the “Friends of Copey” is as well. Welcome aboard all and we look forward to much excitement and success. You must be the change…. The Learning Center has now been open one week and by all reports it has been a fantastic week. Small town Copey bustled with excitement as the young children showed up at the Learning Center full of excitement and high expectations. They came through the doors ready to learn and meet their new volunteer teachers. They also met the new Executive Director, Angela Tribus Ramos, who represents a significant change in the direction and future of the Learning Center. Upcoming Posts will highlight the new volunteer teachers and the extraordinary service of volunteerism they provide in areas of great need. Now, I would like to introduce Angela to all the “Friends of Copey”. Angela grew up in Shohola, Pennsylvania and received her BA in International Affairs from Juniata College, in Huntingdon, Pennsylvania. Angela taught English in China and in Ecuador. 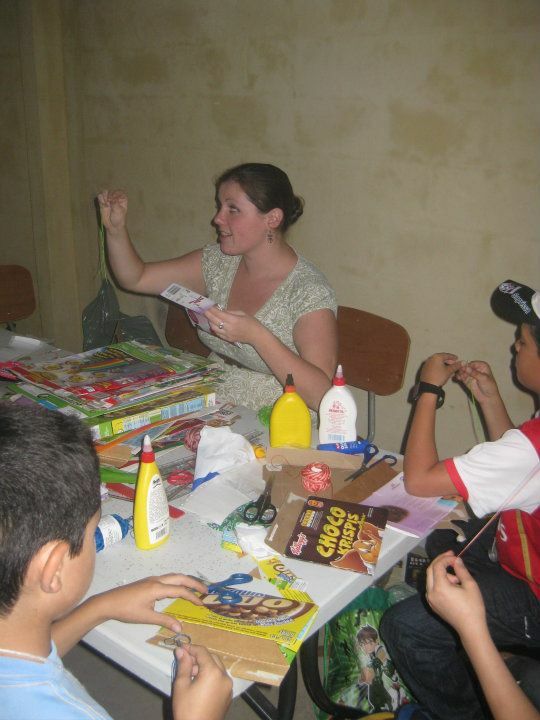 She also taught in the public high school in Copey during 2010-2012 as a Peace Corps volunteer. Since 2012, she has worked in the country’s capital, San Jose as a Peace Corps Volunteer Leader and in Costa Rica’s Ministry of Public Education’s National Headquarters. 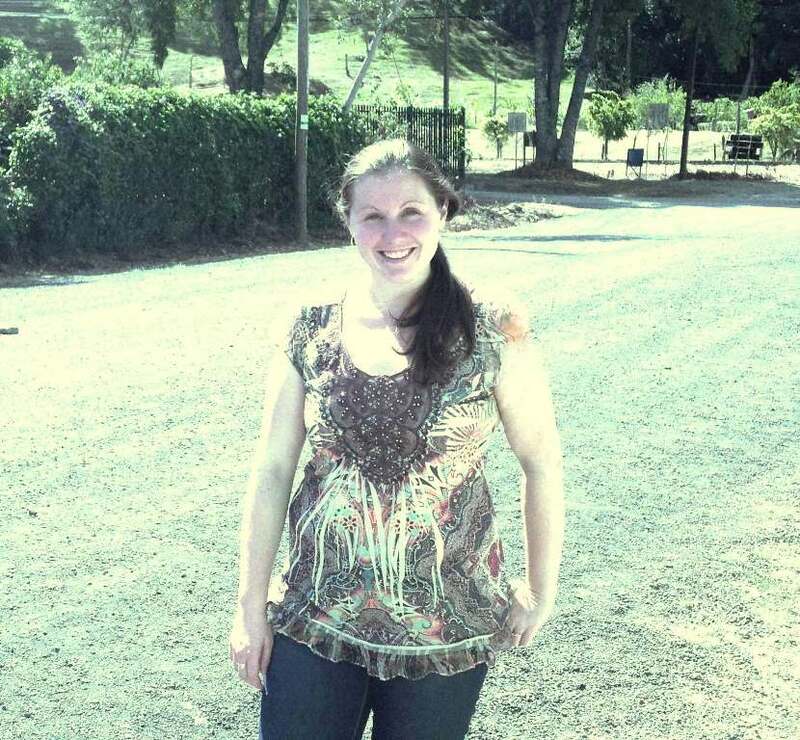 Angela recently married and is now a full time resident of Copey. More information about Angela’s credentials will be shared in the future but now it is obvious why the Board of Directors of the Learning Center decided this year to take a major step forward in building and developing the Learning Center with Angela in the lead. The “Friends of Copey” strongly agrees with the decision of the Board and appreciates the Board’s confidence in us “Friends” to help make their decision a success. It is the most serious challenge we have taken on since “Friends” started in December 2013. We can do this!!! “Friends” living nearby me are finalizing the last details of our local fund-raiser being scheduled in March. Currently, we have donations and commitments totaling $900.00 (up from last week) leaving $1,600.00 for us to raise to reach our goal of $2,500.00. 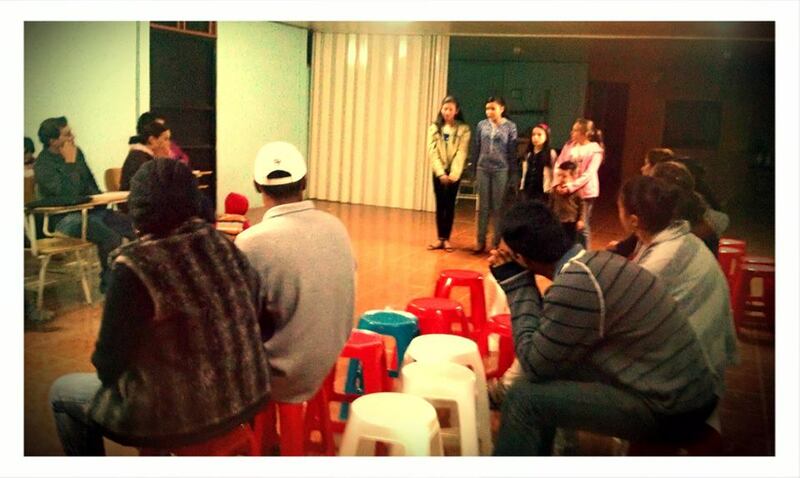 We are making very good progress as we remind ourselves that fund raising is not the main purpose of our existence. We believe our greatest means of support comes from our prayers and our positive expectations (P&PE) for the Learning Center’s success. Those who offer their P&PE and share their time and talents (non-monetary) really keep the purpose and spirit of this project alive and amazing. BUT…at times, some money is essential for the Learning Center to get better, to improve, and to reach more Copey students in need such as in the AGB Scholarship Fund. We are about 37% of our goal and want to be at 50% by March 1. So if you are not planning to help financially, please pray that others will and expect positive results. We declared “Mission Accomplished” recently with the AGB Scholarship Fund and we will enjoy success again when we reach this goal. Now, for my NASCAR “Friends”, we are disappointed that Gordon and the #24 did not cross the finish line first in today’s Daytona 500. He did lead the most laps and put on an exciting race. He was in the top 10 when he got involved in a pile-up in the final lap. Next week, we will ride with Gordon in Atlanta. Although several of my family and friends are still busy shoveling snow and turning up the heat in the East and Northeast, I am starting to see some signs of early Spring in my part of the country. I just love this time of year. In Copey, the summer is ending with school bells ringing in the new school year. Steven and Evelyn Videa Gonzales. Both AGB Scholarship recipients in 2014 and possibly in 2015. They are siblings. 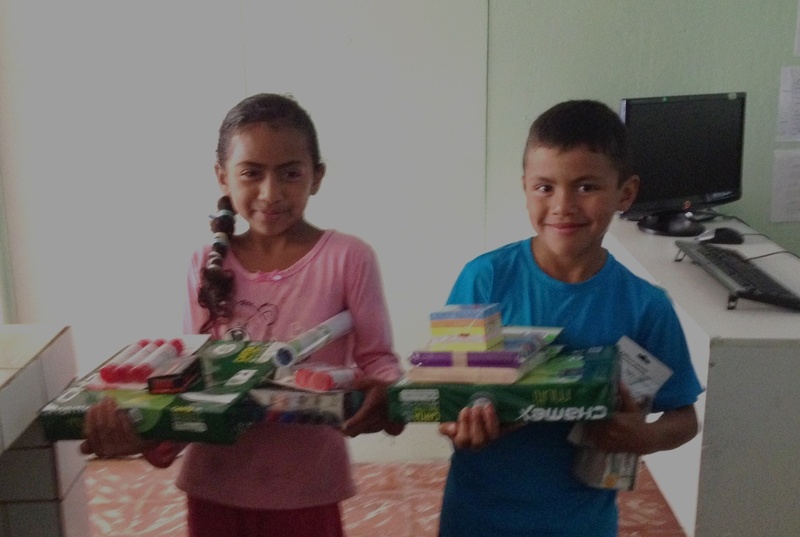 New school supplies bought with prior donations. This means young students are heading to the Learning Center for a new year of excitement and learning. Two new volunteer teachers have arrived to assist Eve whose volunteer time in Copey is growing short. There is so much change underway with new volunteers, new school year, new Scholarship recipients, and many new potential changes for the Learning Center. Our support for the new position continues with plans to raise the rest of the funds needed. We have about $700 in donations now and still plan to raise an additional $1,800.00. Several local Washington supporters (“Friends”) will be helping with a fund-raiser. Many of you can still help even from a distance. Stay in touch with my upcoming Posts and keep informed on our progress. Do I sound excited? Well, I really am. Everything just seems to be heading in the right direction and I am so proud of the “Friends of Copey”. Yesterday, I watched my second most favorite sport, NASCAR racing. The season is getting underway as the drivers are preparing for the BIG RACE next Sunday…The Daytona 500. In NASCAR, this race is considered the Super Bowl of stock car racing. 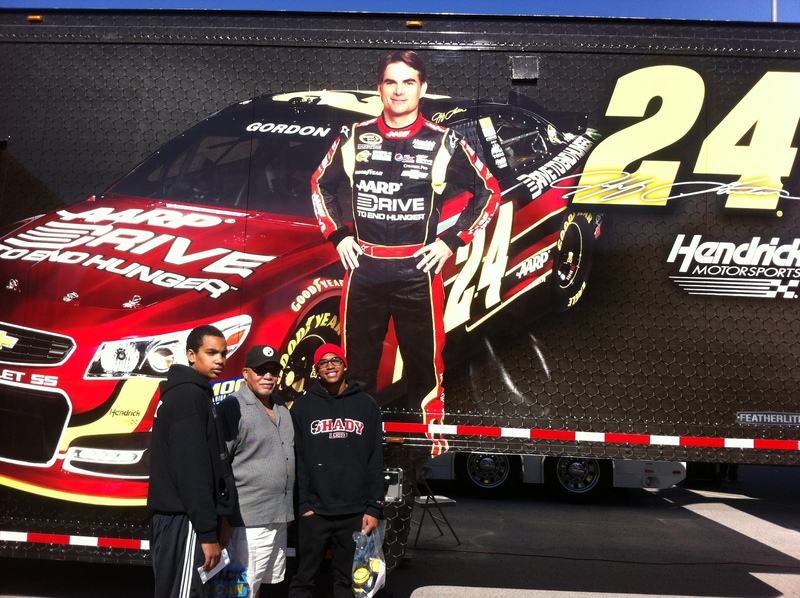 My favorite driver Jeff Gordon won the pole position and will be in front when the race starts next Sunday. 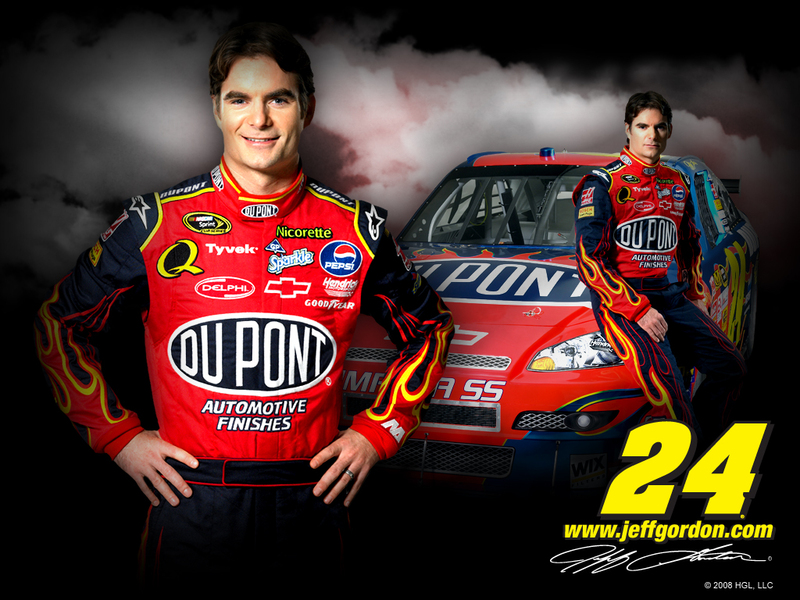 Gordon (four-time Champion) has announced this will be his last season driving the famous #24. So, I am taking all this as a very positive sign that both the Learning Center and Gordon are going to make the next 9 months very exciting and unforgettable. Gordon is one of the really good guys. Check out www.jeffgordonchildrenshospital.org. I have appreciated Gordon’s respect for his sport. He has been a positive role model for both kids and adults during his career. While at the Las Vegas Speedway in 2013, my grandsons and I shared a moment in front of Gordon’s picture. He did not win that day but it was a very special day to remember anyway! The balloons are flying and the fireworks are lighting up the sky as we celebrate our second year of success raising funds for the Anne G. Broady Scholarship Fund. “Friends of Copey”, you are truly amazing. Several of you also sent notes of encouragement and support and I truly thank you for your generosity of spirit, faith, and encouragement. The Learning Center can now finalize the selection of 15 scholarship recipients and assist in getting these students ready for school starting in less than two weeks. In 2014, the AGB Scholarship Fund sponsored 21 students to attend the Learning Center and can now add another 15 scholarships in 2015. 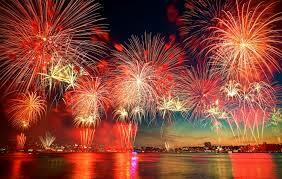 This is a day of real celebration and I invite everyone to join me in a well deserved “Happy Dance”. Thanks to “all” the “Friends of Copey”!